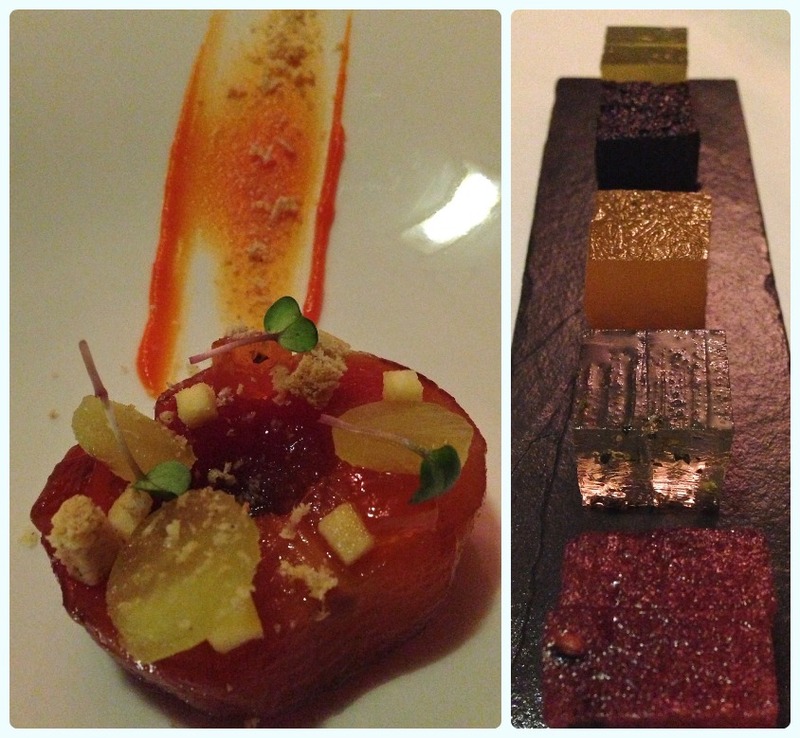 Back in January I took my husband to El Cellar de Can Roca for his 30th birthday. We went with our partners in crime (and other half of the Horwich Fine Dining Society), Wayne and Vicki. They had already been to a little restaurant at Etrop Grange Hotel called The Wine Glass, and suggested we make a pit stop before our flight. Plus, it's an excellent place to stay before a holiday because it's on the doorstep of the airport. At just £59 the rooms are excellent value too. Ernst van Zyl is making quite a name for himself. Since we visited in January it seems every blogger in town has been to sample his wares. I don't blame them. He has divided opinion with his style of food, which is inspired from the many stages he has done in some of the world's most prestigious kitchens. He's honing his craft in places like Noma, Le Manior, L'Enclume and more recently, Frantzen/Lindeberg. 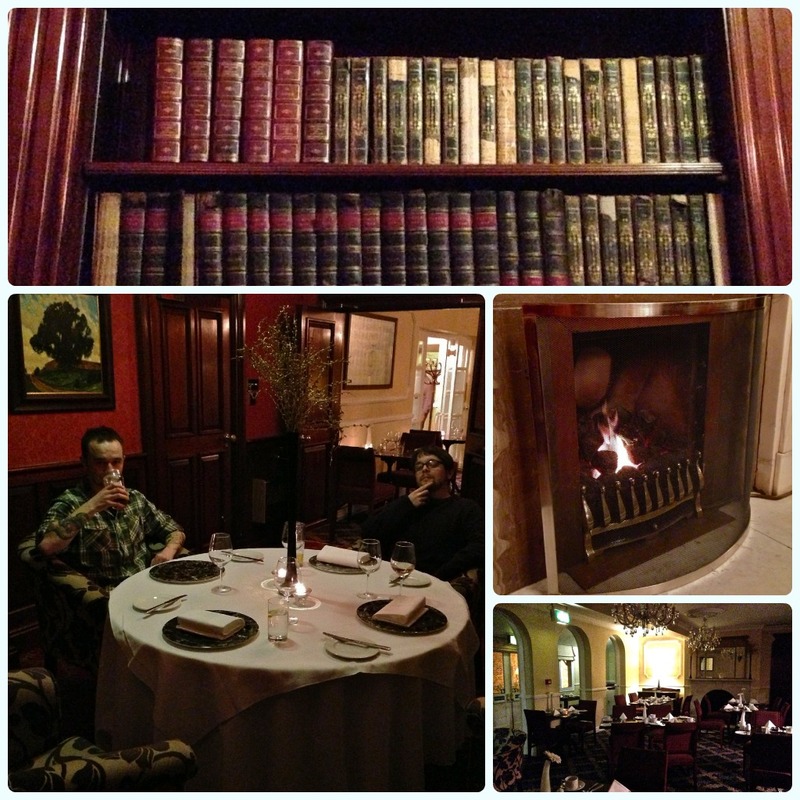 Ernst had offered to create a bespoke menu for our evening at Etrop. 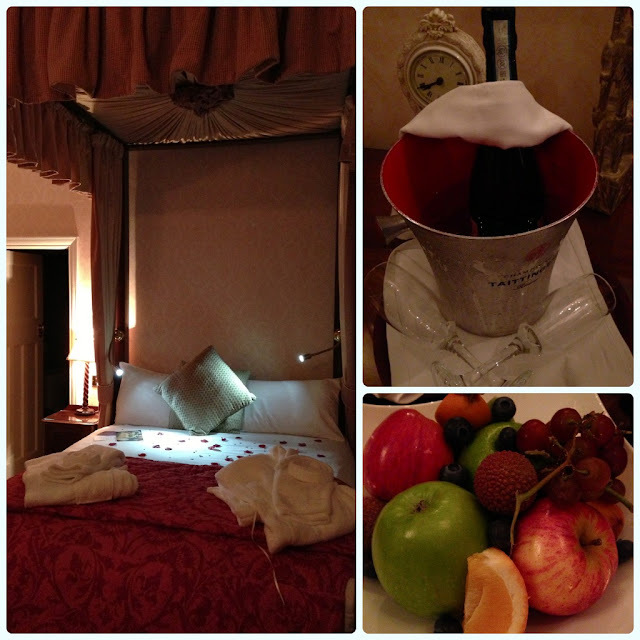 We arrived in our rooms to baskets of fresh fruit and a bottle of bubbly, then we were led downstairs to our private room in the Library. We were feeling rather spoilt indeed! Roaring fires, old books, comfortable chairs and snow outside. Wonderful. The menu doesn't give much away, which I quite like... 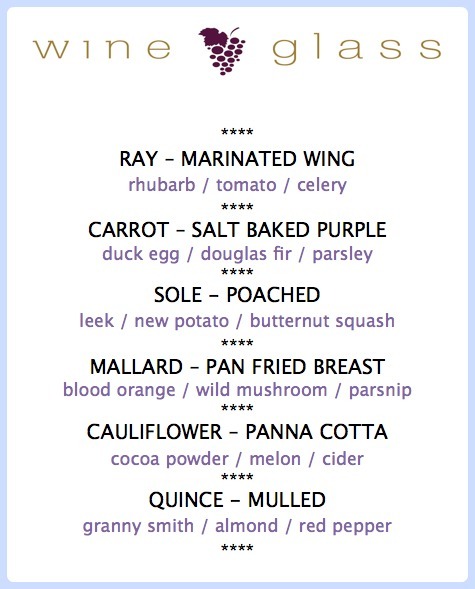 I often don't look at tasting menus so that every course is a surprise. OK, sometimes I cheat and just peep. 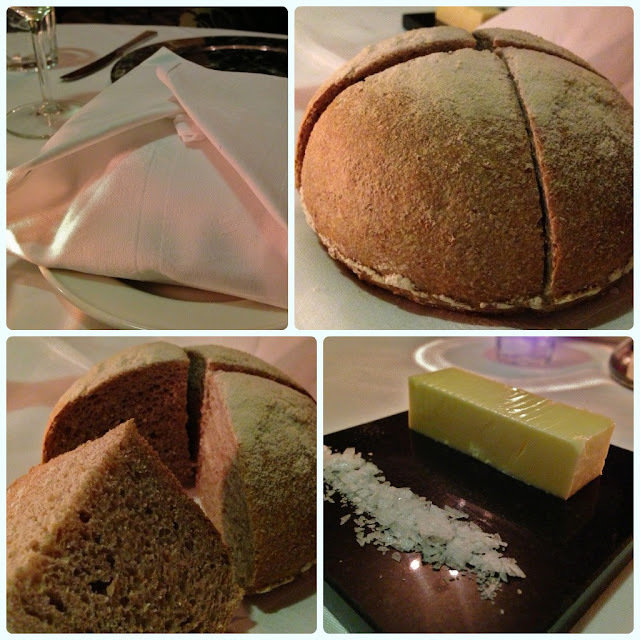 When the bread came wrapped in a white napkin we knew this was a nod to Noma, and there may have ben a bit of giddiness. This is beautifully rounded, warm crusty sourdough served with soft butter and sea salt. I'd be quite happy eating this all night. Paul Hollywood would have been proud of this one. Our amuse bouche came cloaked in a cloud of smoke under a glass bowl, which was lifted to reveal a soft boiled quail's egg served with a sweet salad of micro-shoots and cranberries. Next came the ray wing with rhubarb, tomato and celery. I'm not a huge fan of fish but this was soft in texture and mild in taste. It came with a rhubarb 'astro belt' type creation and was lifted by the tart tomatoes. A really fresh dish. The next course was the salt baked carrot. Not only did this look impressive, but it tasted spectacular too. This was all about texture; the bite of the granola, the silky duck egg and firm yet sweet carrot. We all loved this! Dish of the night. Despite my distrust of fish (it can breathe underwater?! ), I adore sole. This beautiful fish was made even better with pork jus and warming butternut squash. Next came the mallard, reassuringly red served with blood orange, wild mushrooms and parsnip. This was perfect for the wintery weather we were experiencing outside. Our pre-dessert was cauliflower panna cotta with chocolate 'soil', cider drops, water melon cubes and mini cauliflower florets. We all struggled with this one a little. 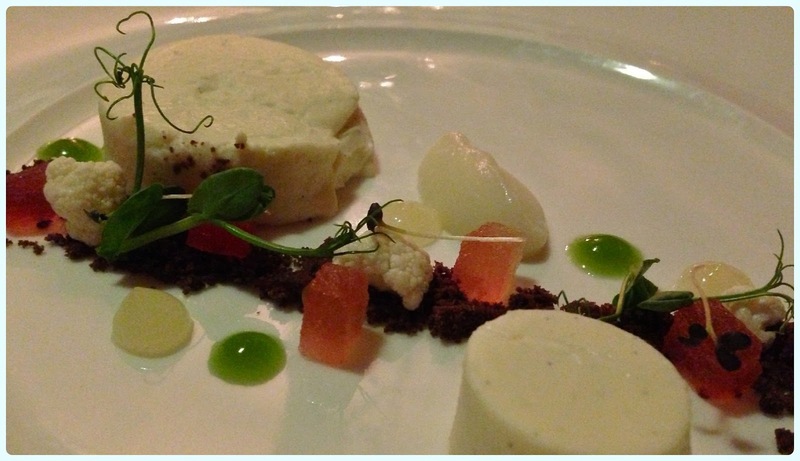 The panna cotta was smooth in texture and full of flavour, and when eaten with the other components was just right, however we felt there was a little too much cauliflower compared to the other elements. If you are a fan of savoury over sweet you would love this. The main dessert was mulled quince with granny smith, almonds and red peppers. This was all kinds of brilliant. Again, this was made even better by the fact it was chuffing freezing outside. Warming, spicy and a slight crunch in the form of the tart apples. Dessert was followed by a series of flavoured jellies and herbal teas. After dinner we went and had a chat with Ernst and his team in the kitchen. He's clearly very passionate about his craft, and was excitedly telling us about his upcoming trip to Stockholm for his stage at Frantzen/Lindeberg. 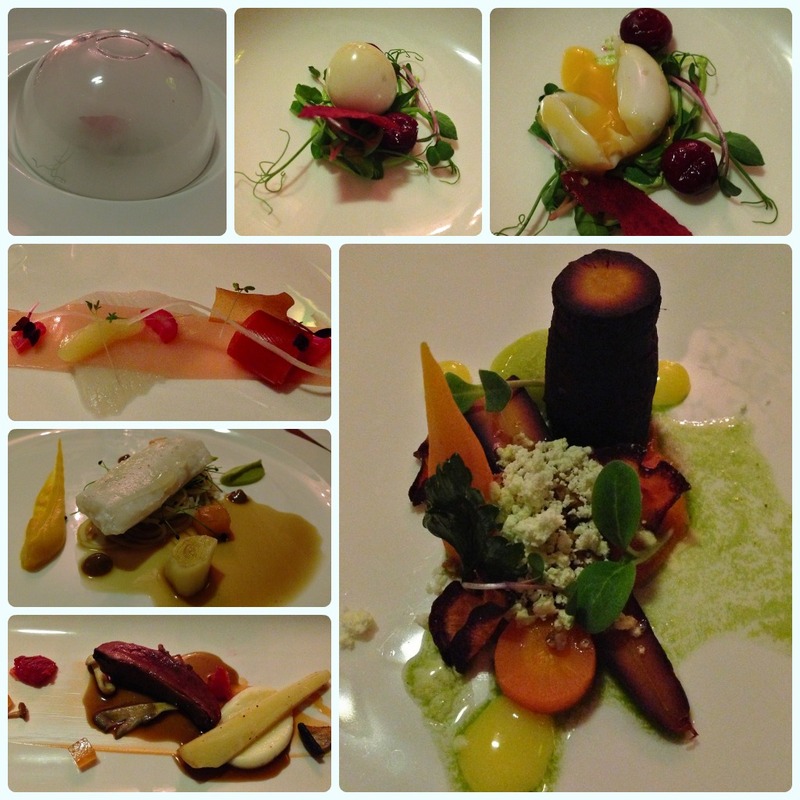 I also love reading his tweets about what he's been up to and seeing the pictures of his latest dishes. Negativity cuts him deeply, but he is a modest man aiming to please his diners. It looked delicious! I have to try it, thanks for the tip!